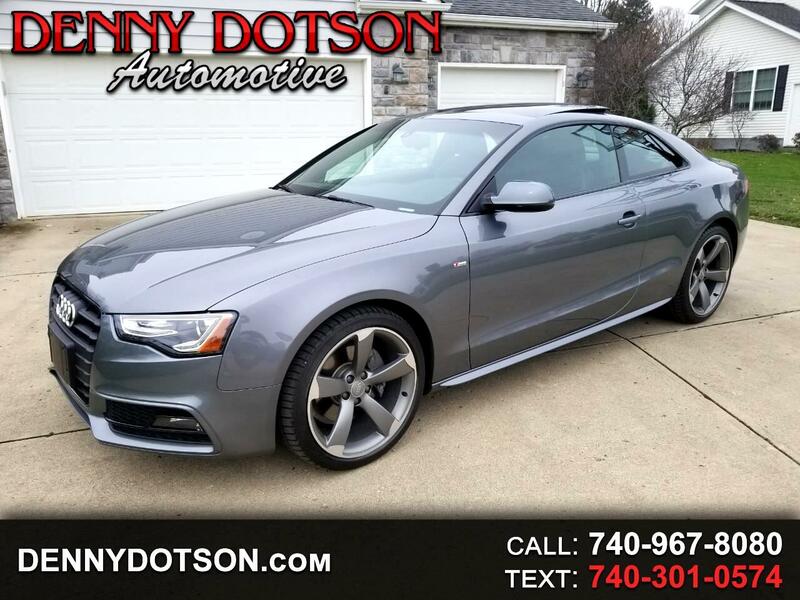 Used 2016 Audi A5 2dr Cpe Auto Premium Plus for Sale in Johnstown OH 43031 Denny Dotson Automotive Inc.
Great looking Audi. Optioned up the right way! 2016 Audi A5 Premium Plus S-Line. This is a one owner car with Premium Plus Package, Bang and Olufsen Sound System, Technology Package(MMI high control panel Navigation, parking system/rearview camera, speech to text engine and phone controls, lane change assist, Bluetooth streaming audio), Sport Package(14 Way Sport Seats/4-Way Lumbar Support, 3-Spoke Steering Wheel/Shift Paddles, Audi Drive Select Controls, Sport Suspension(-20mm ride height, stiffer springs and damper tuning)), and Sport Plus Package(High Gloss Black Plus Package, Black Cloth Headliner, 3-Spoke Flat-Bottom Steering Wheel, 19" 5-Arm Rotor Design Sport Wheels). Clean one owner history with no accidents. Monsoon Gray Metallic over Black Leather. Great colors, great equipment, and the right look. Serviced with Audi since new. Major service completed at 37,579 miles and the the most recent service at 39,900.